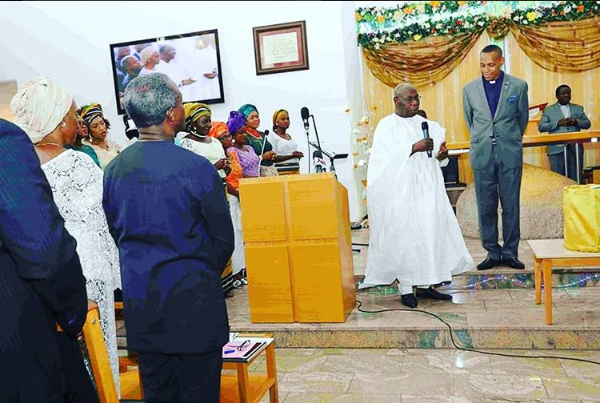 The annual Aso Villa Thanksgiving service was held yesterday, 4th December 2016 at the Presidential Chapel. 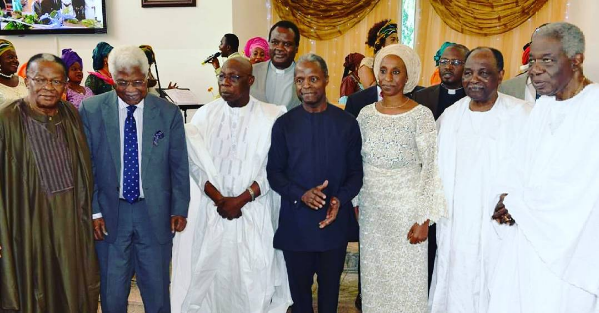 The annual event had in attendance three former heads of states/presidents and three former number twos who joined the Vice President Yemi Osinbajo, SAN, to show gratitude to God, offering thanksgiving for his goodness over Nigeria. Prayers were also offered by the leaders and the Aso Villa Chapel congregation for the continued success of President Muhammadu Buhari, and the progress of the entire nation. 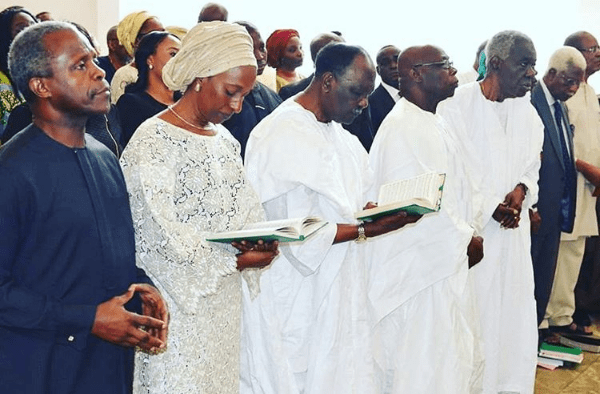 The leaders who converged were former Head of State General Yakubu Gowon, former President Olusegun Obasanjo, former Head of the Interim Government Ernest Shonekan, former Vice President Alex Ekwueme, and former Chiefs of General Staff Ebitu Ukiwe and Oladipo Diya. Immediate past president, Goodluck Jonathan was however absent from the event. Wife of the Vice President, Dolapo Osinbajo and Margaret Shonekan were also in attendance at the service. Speaking during the service as he welcomed the leaders, Osinbajo noted that the nation is grateful to God, adding that the Lord has upheld Nigeria even this year which is rounding up. 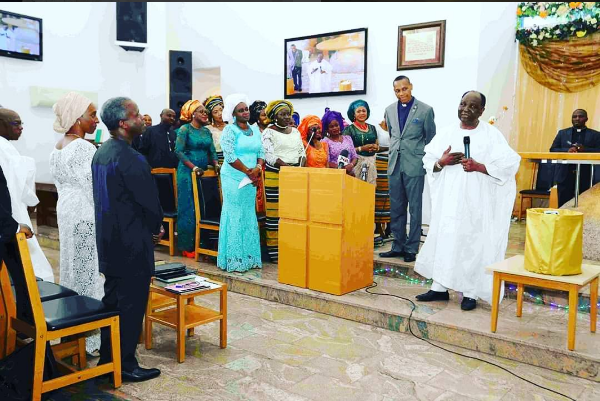 Later while speaking with reporters at the end of the service, the Vice President added that “the former presidents and vice presidents are here for the thanksgiving service, they’ve been invited specially to come. “We were also expecting President Jonathan but unfortunately he had to cancel at the last moment. So we are all extremely excited that we are able to bring everyone together to thank God for our nation and to give him thanks for the great future ahead of us. A number of cabinet ministers, several top government functionaries and Christian leaders were also in attendance. 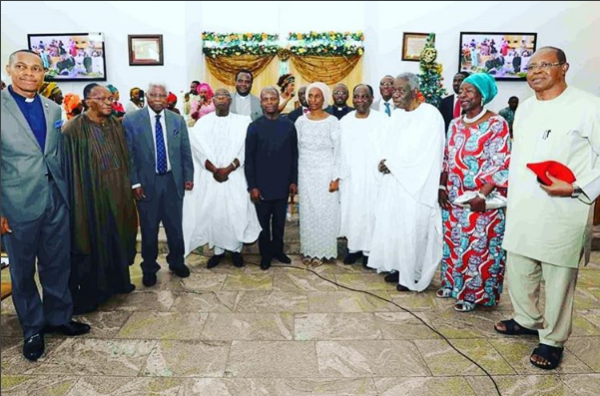 After the service, the leaders joined the Vice President at his residence for breakfast.